“Border ahead” is the caption of this year’s winning entry from Sudan Customs. 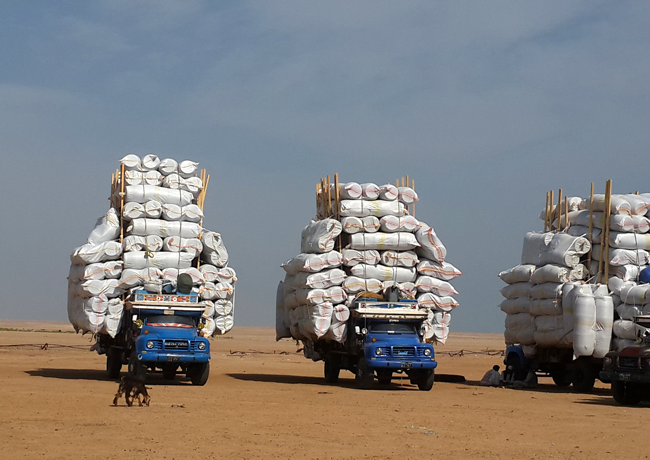 The photo was taken at the the Askeit border post and shows goods trucks ready to cross the border with Egypt. Since April 2015, this border post is the first and only border crossing point in Sudan benefiting from a Single Window environment, with all relevant authorities gathered under one roof. The volume of trade exchange between Sudan and Egypt through this post amounts to about 185 million US dollars per year, a figure which is expected to increase twofold, or even threefold, over the next few years.